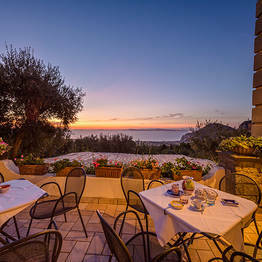 Clean air, a beautiful view, delicious food. 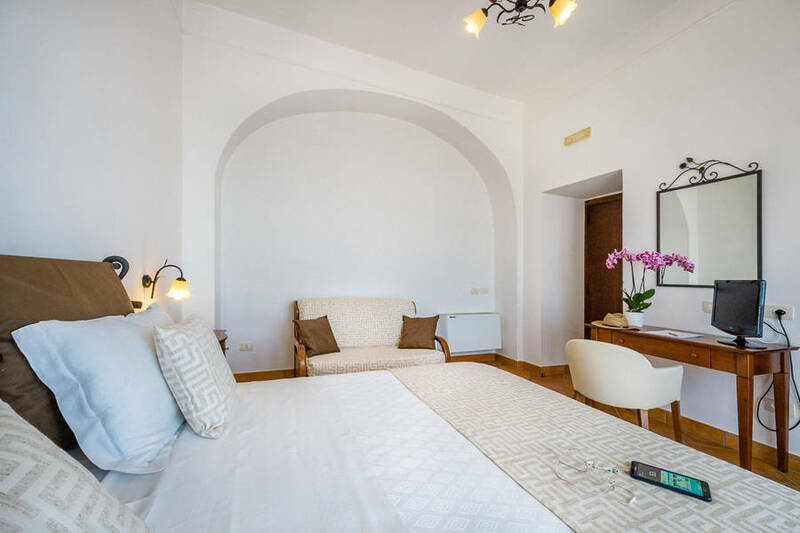 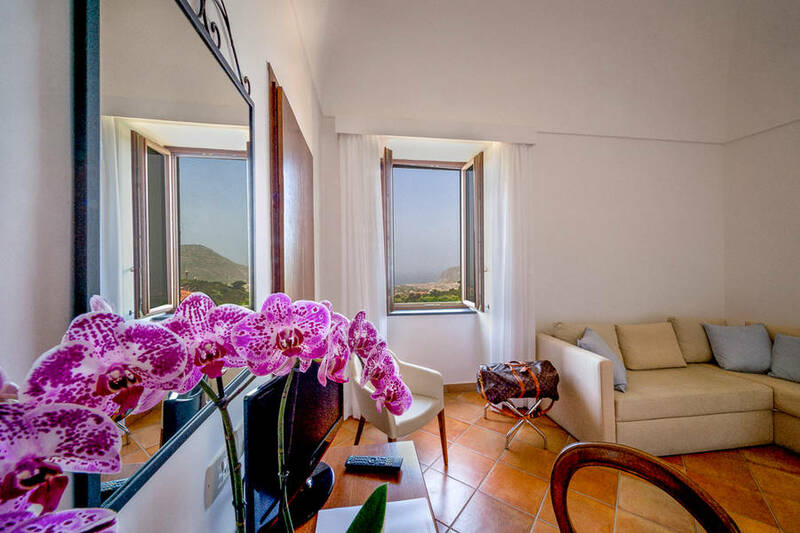 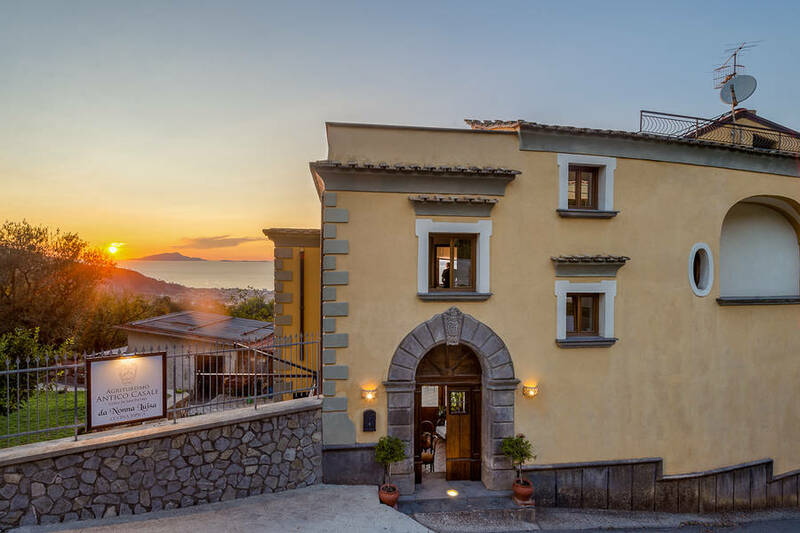 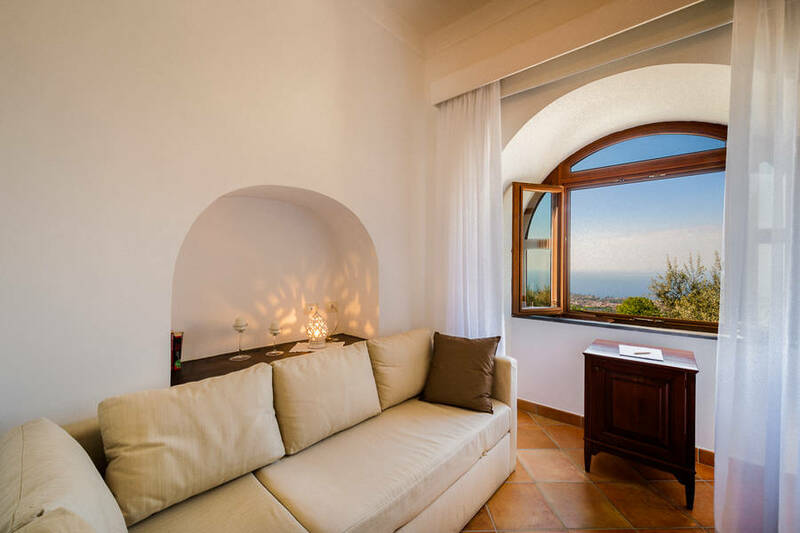 Three elements for a flawless holiday or perfect short break dedicated to R&R that you'll find at Antico Casale in Colli di San Pietro, a working family farm halfway between Sorrento and Positano in a corner of the lush coastal countryside where the rural tradition is still strong. 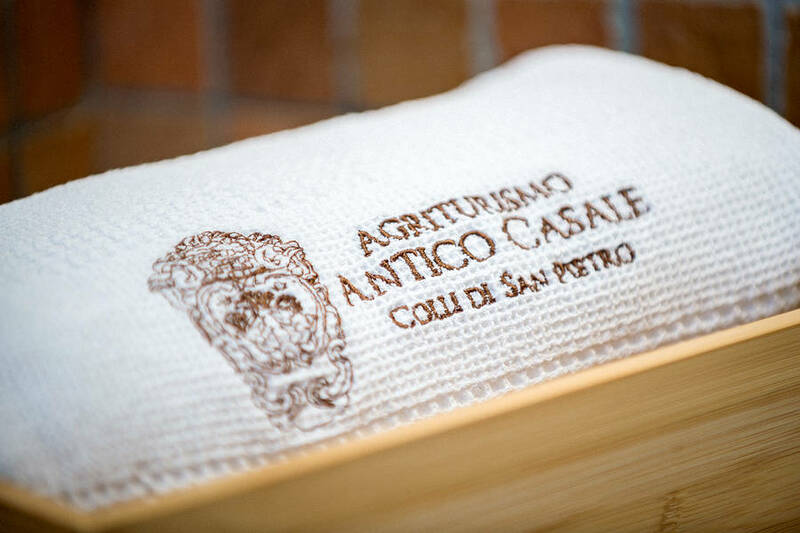 The Persico family has always been a farming family, raising vegetables, making wine, and aging their own charcuterie. 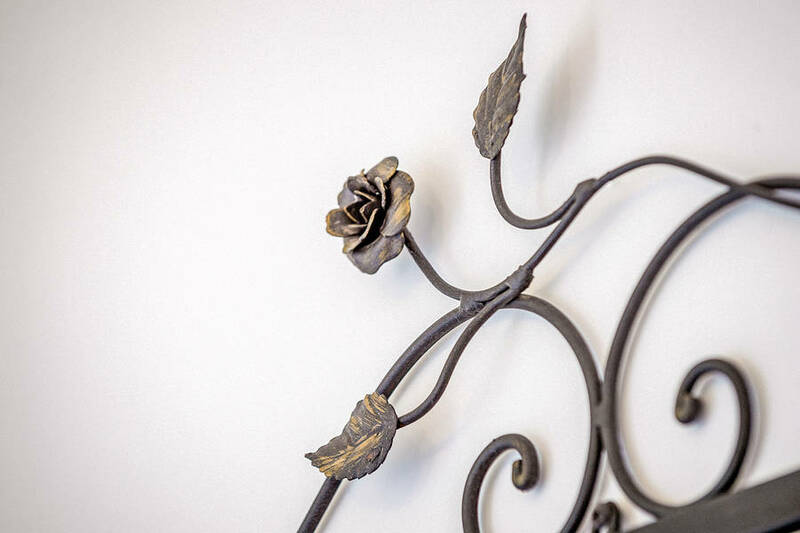 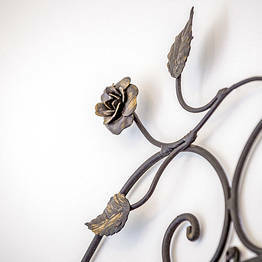 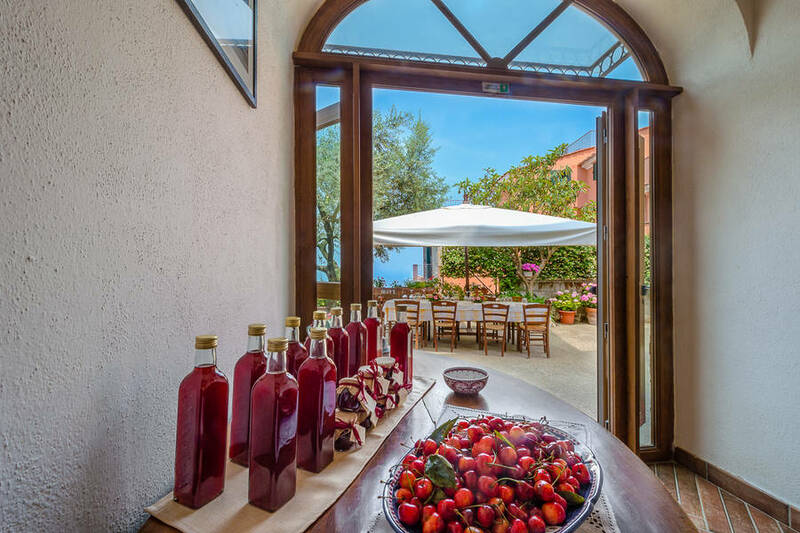 You'll find a thriving vegetable garden, olive trees, a vineyard, an orchard, and citrus trees, which the family harvest each year to make preserves, jams, olive oil, and wine. 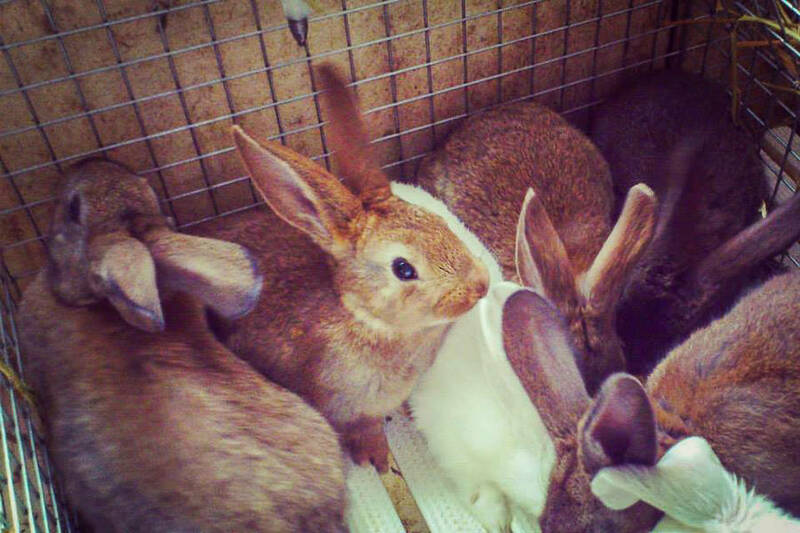 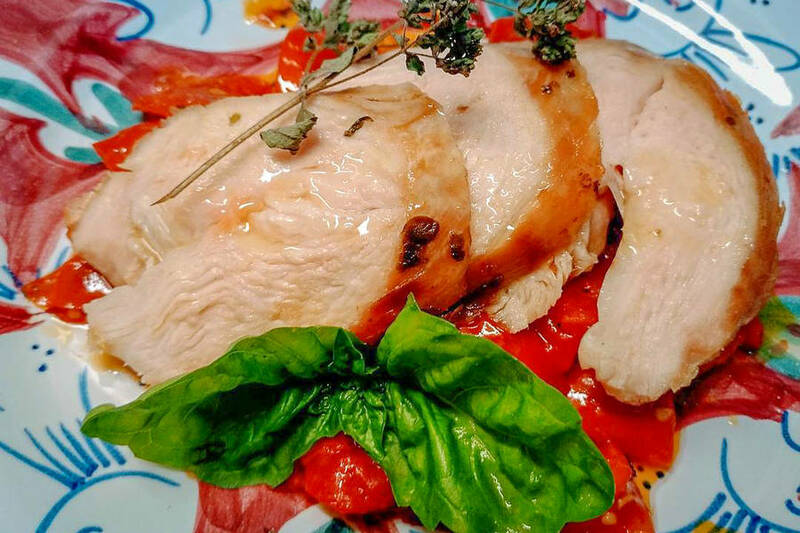 The family also raises pigs, cows, rabbits, geese, and chickens...a true family farm where the quality of the produce is matched only by the quality of the hospitality. 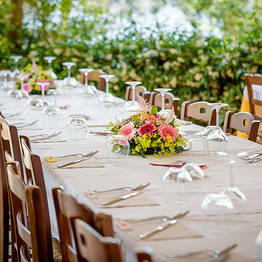 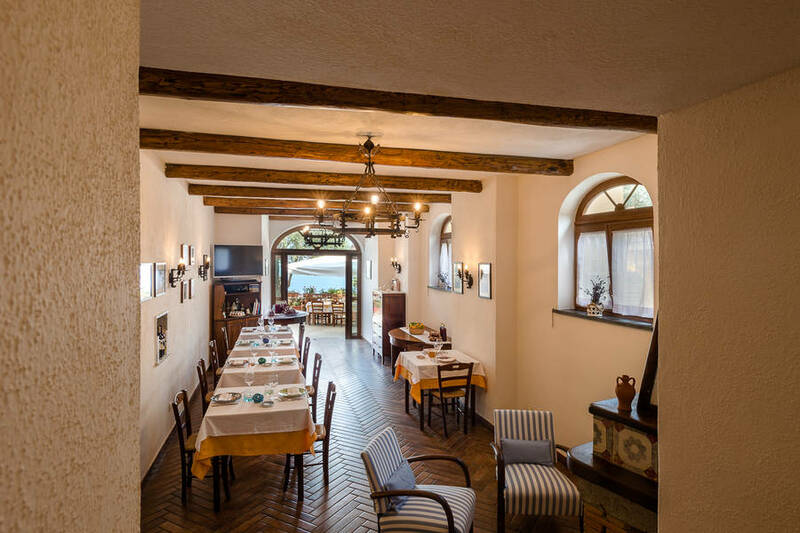 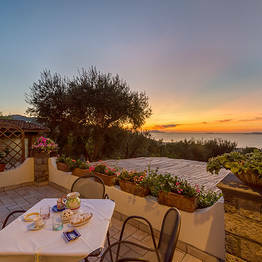 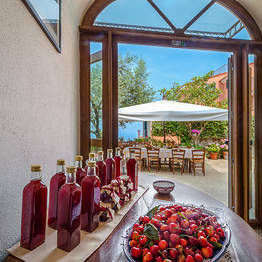 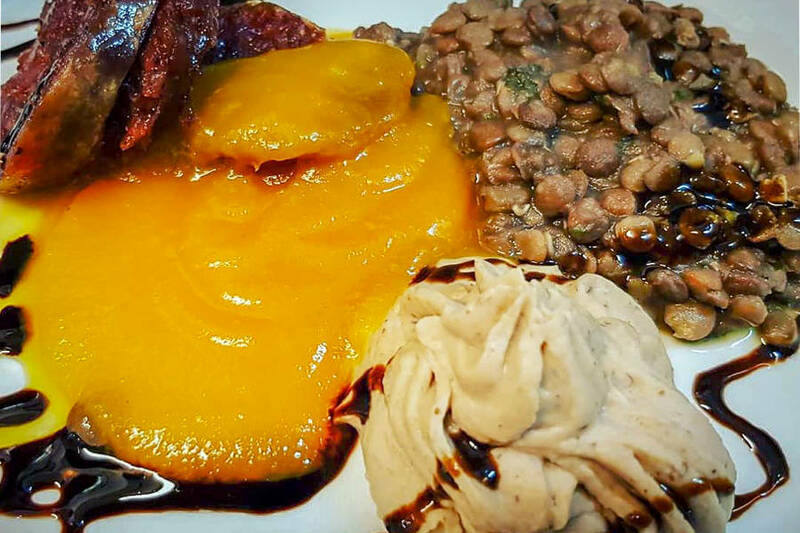 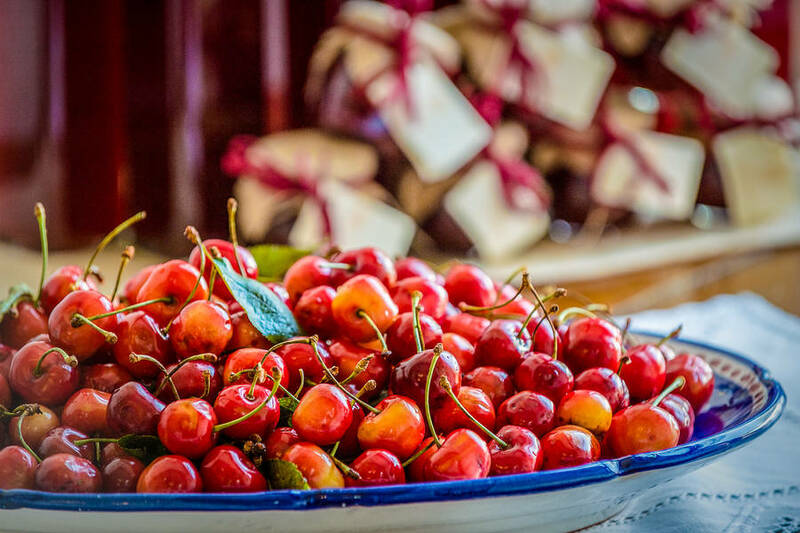 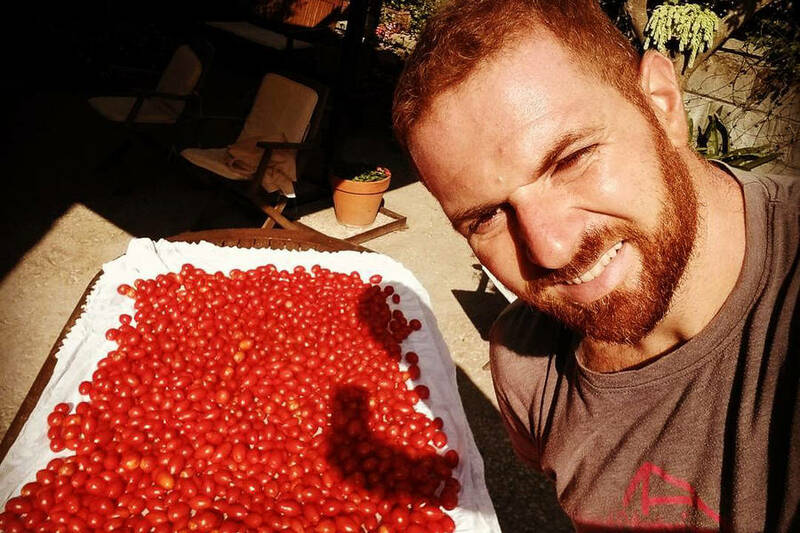 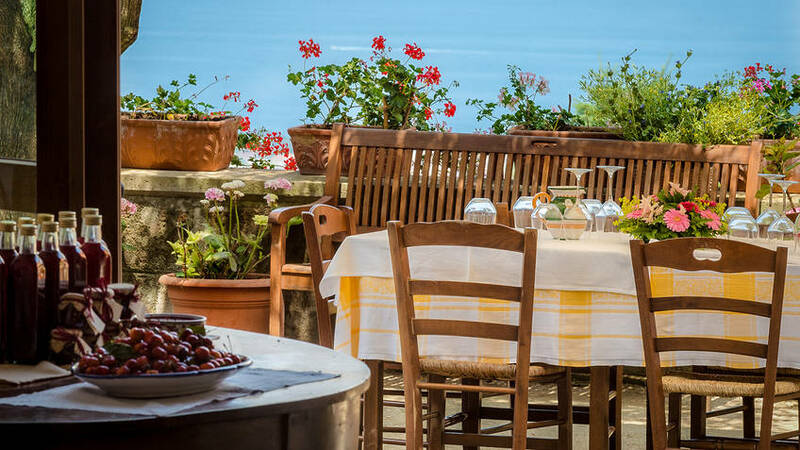 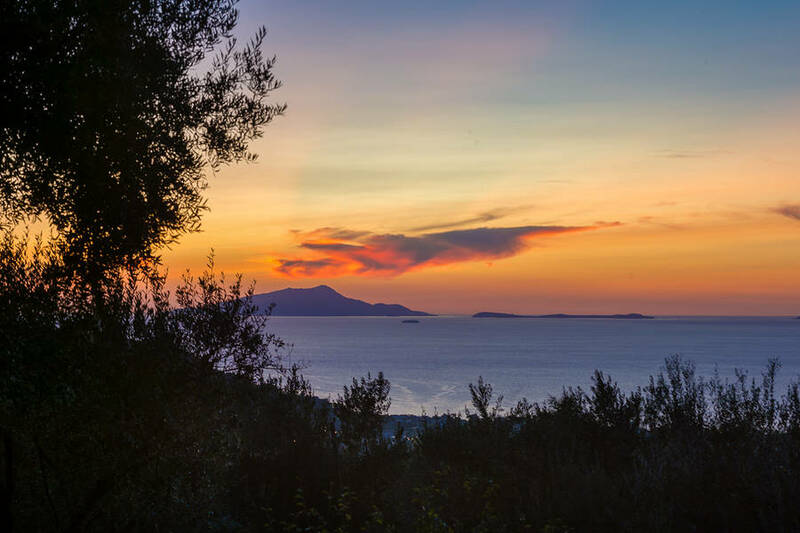 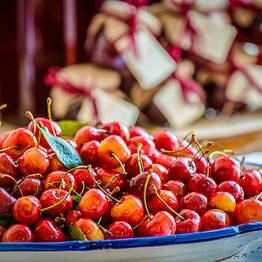 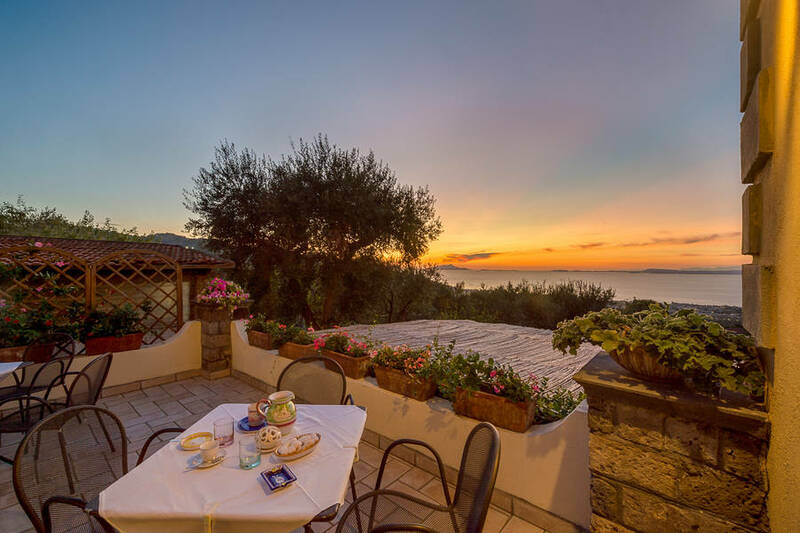 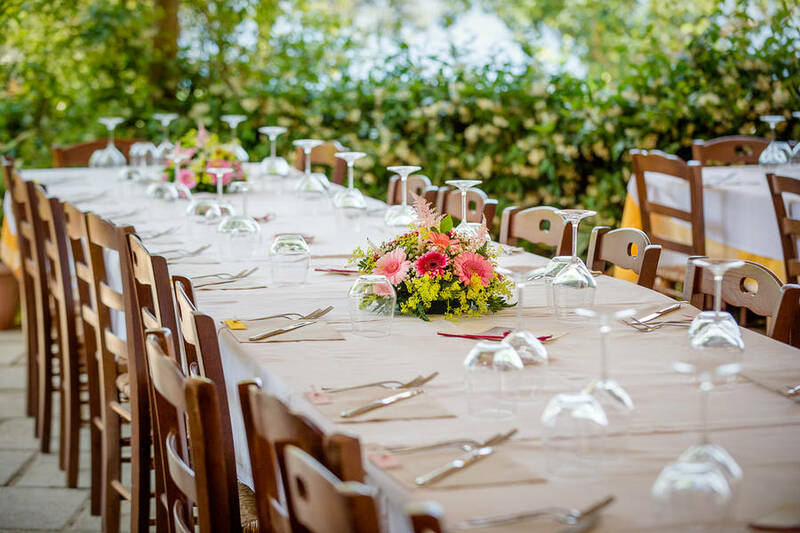 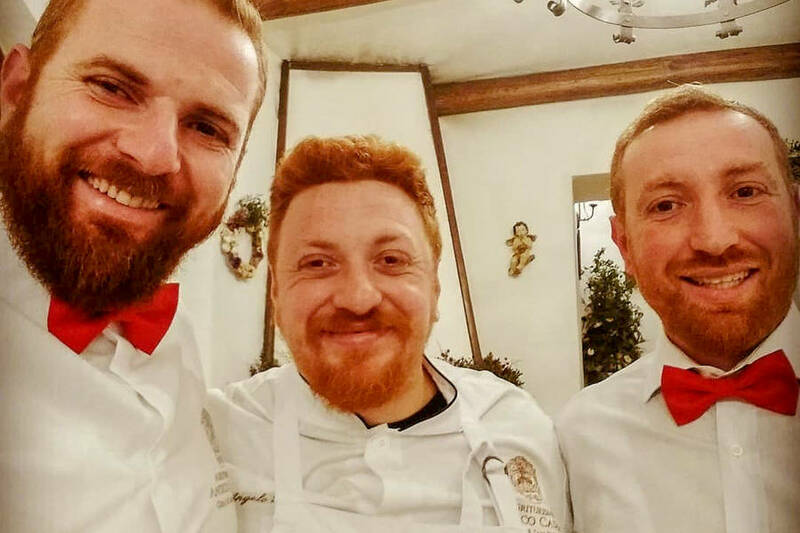 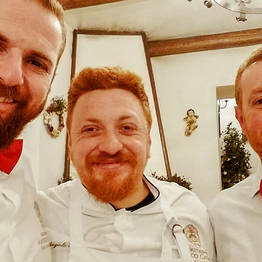 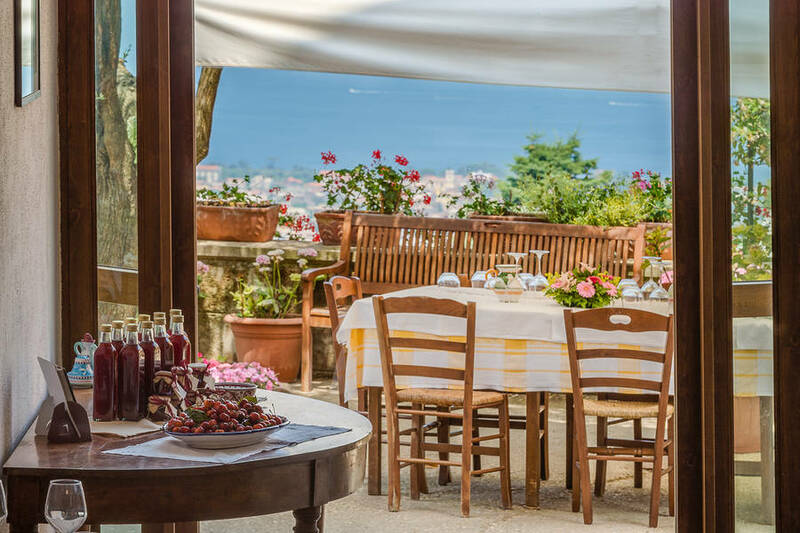 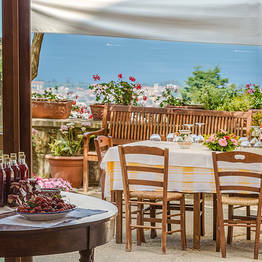 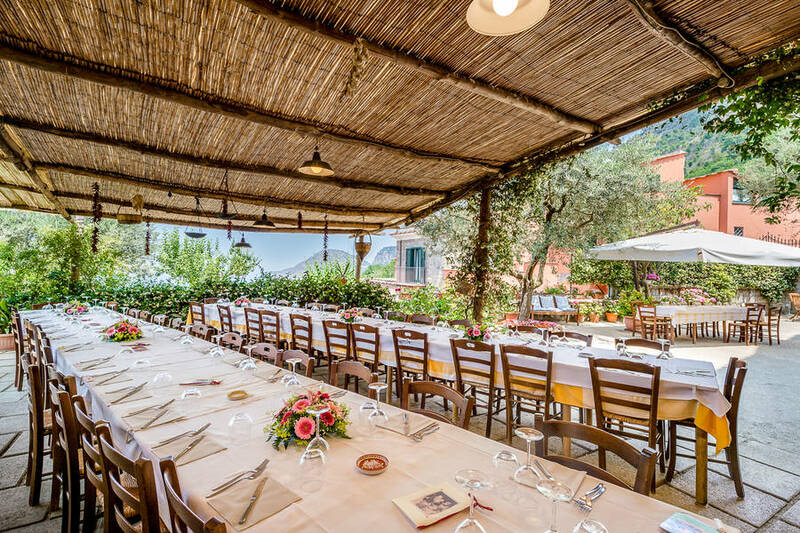 The agriturismo is part of the Slow Food movement, dedicated to protecting heirloom local products and traditional dishes and recipes from the Sorrentine Peninsula. 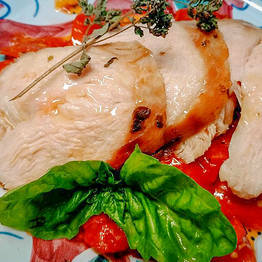 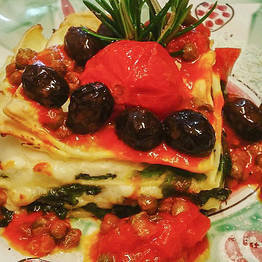 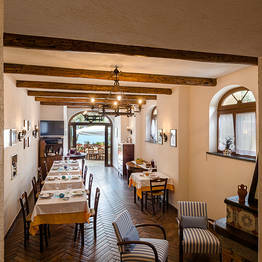 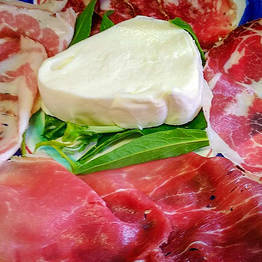 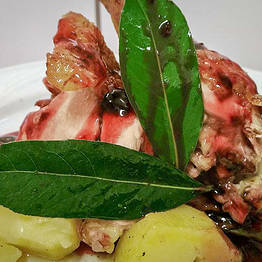 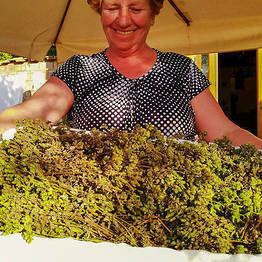 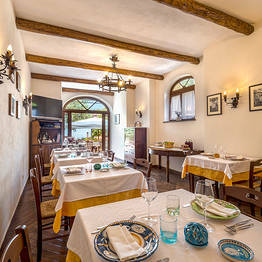 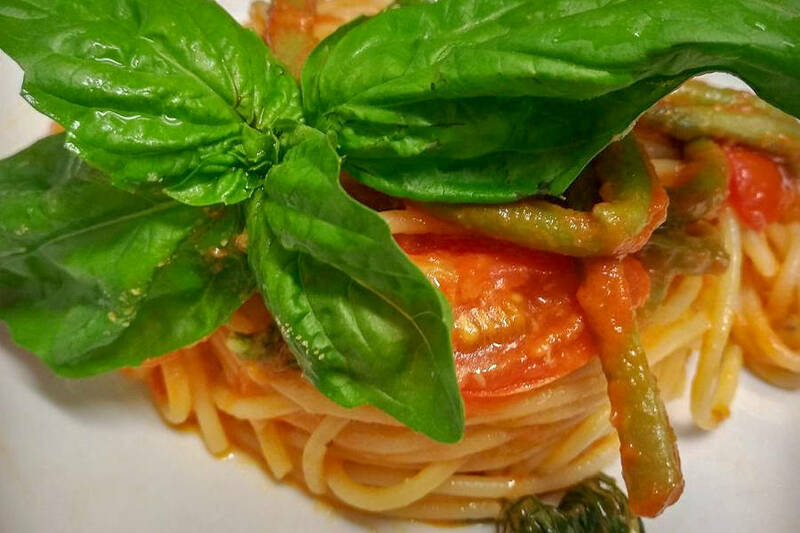 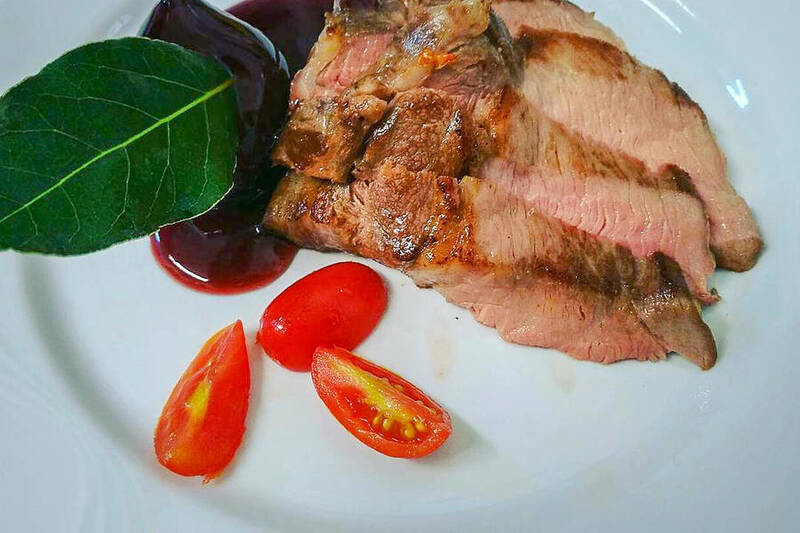 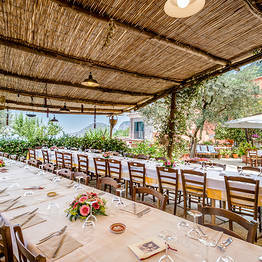 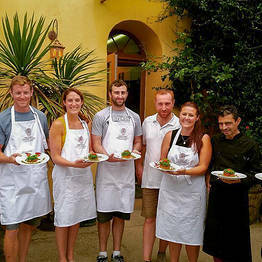 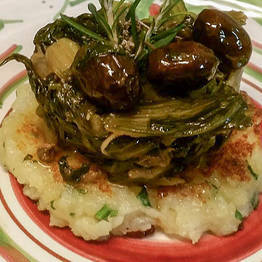 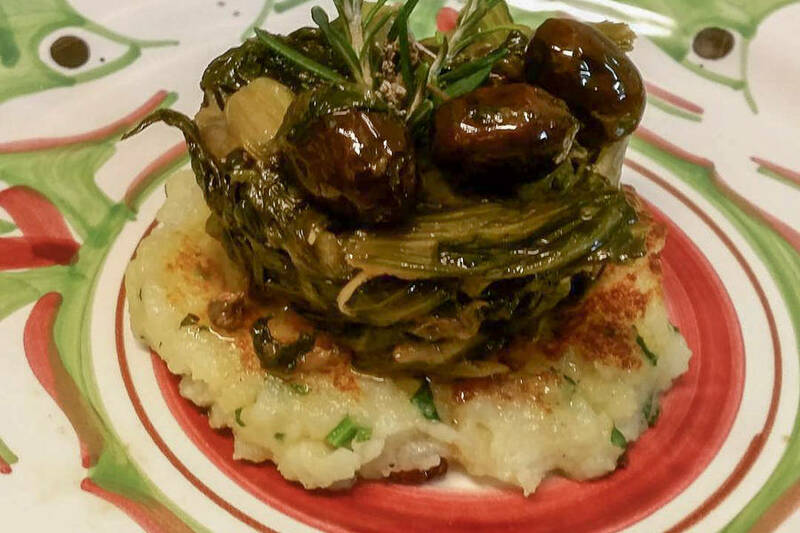 The farm's “Da Nonna Luisa” restaurant uses almost exclusively ingredients grown on the farm, or on neighboring farms, including produce and meat. 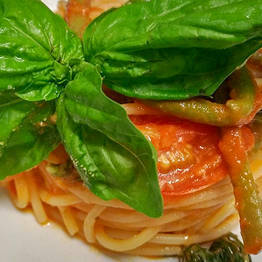 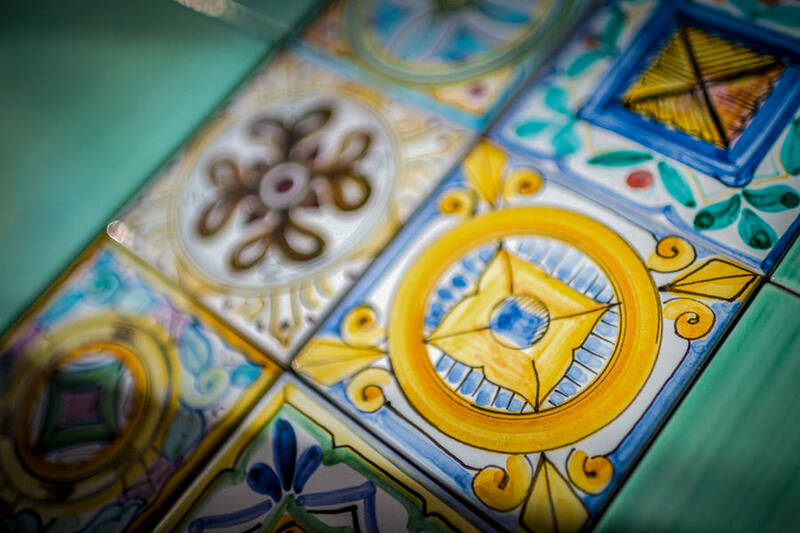 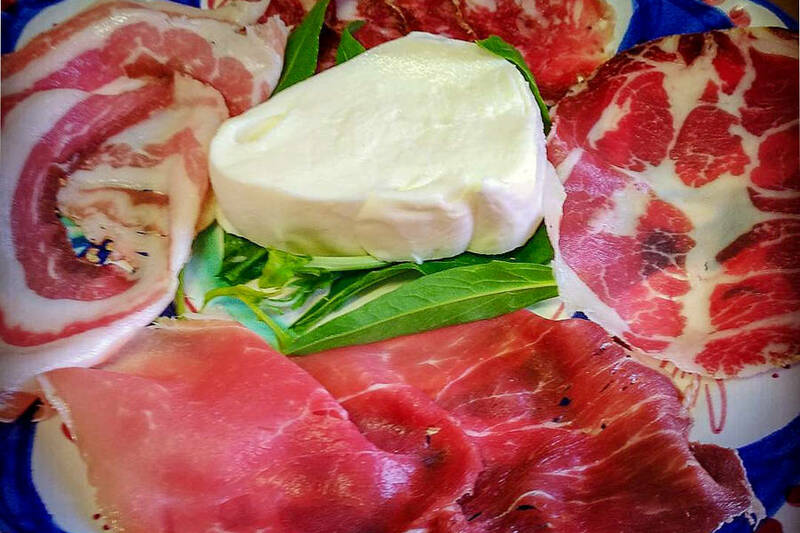 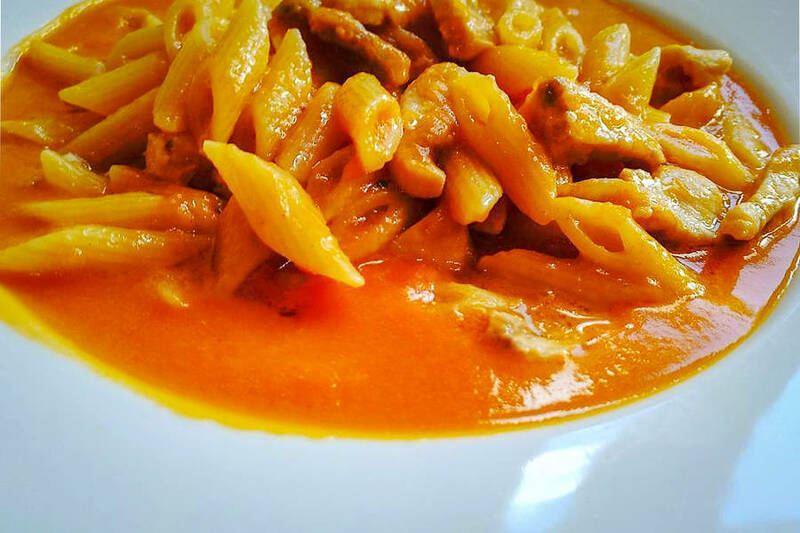 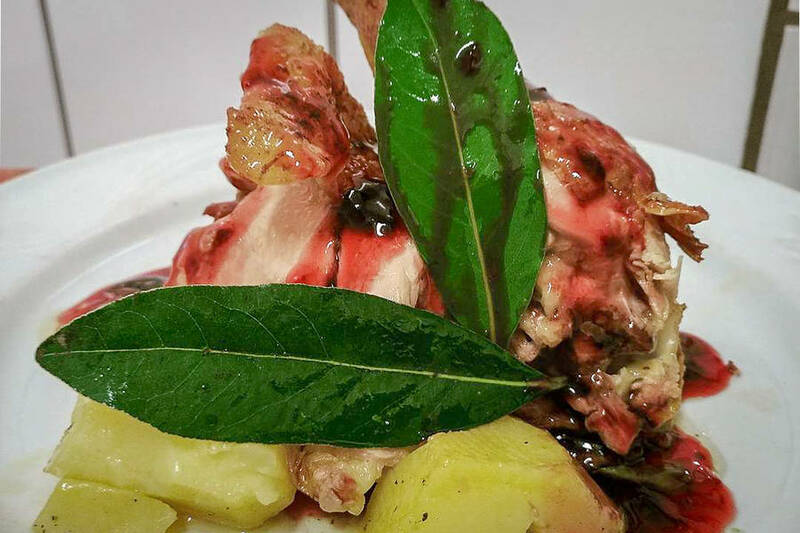 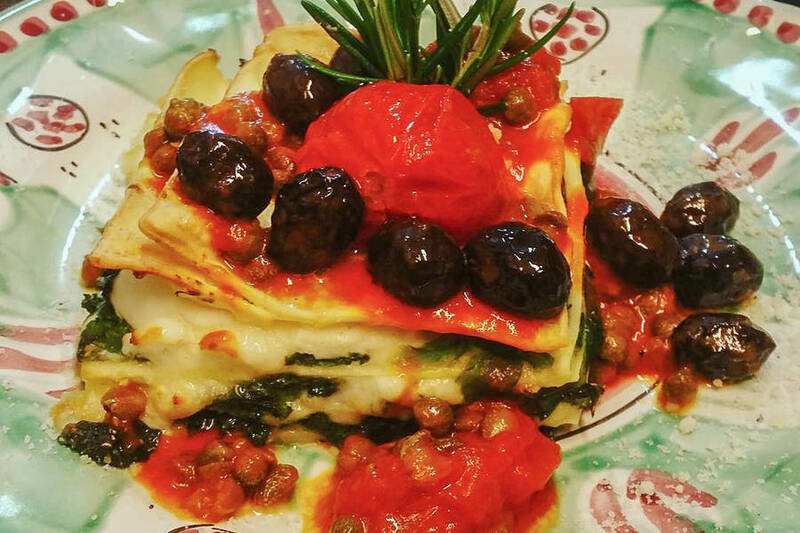 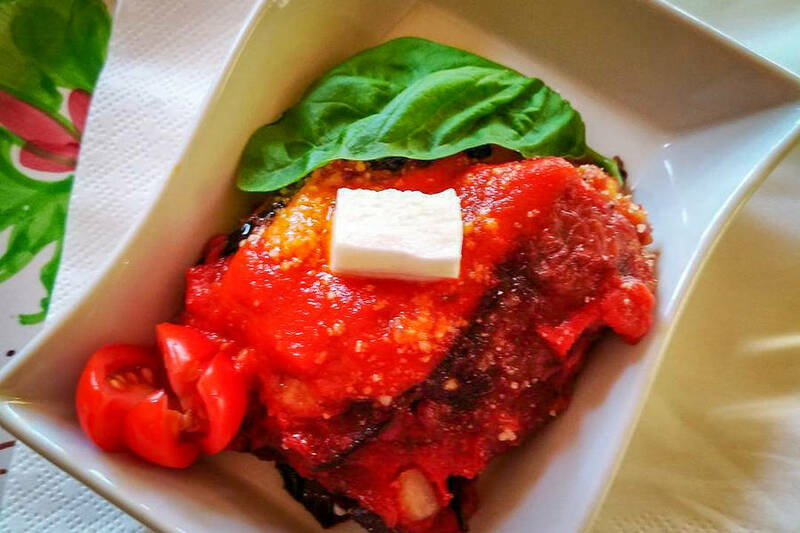 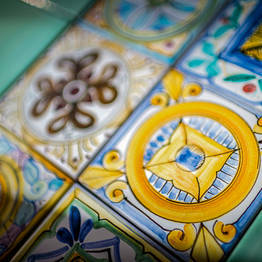 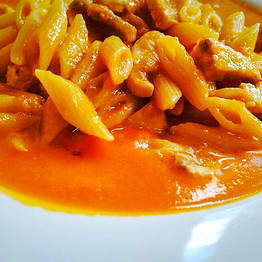 Enjoy the flavors of southern Italy at their source! 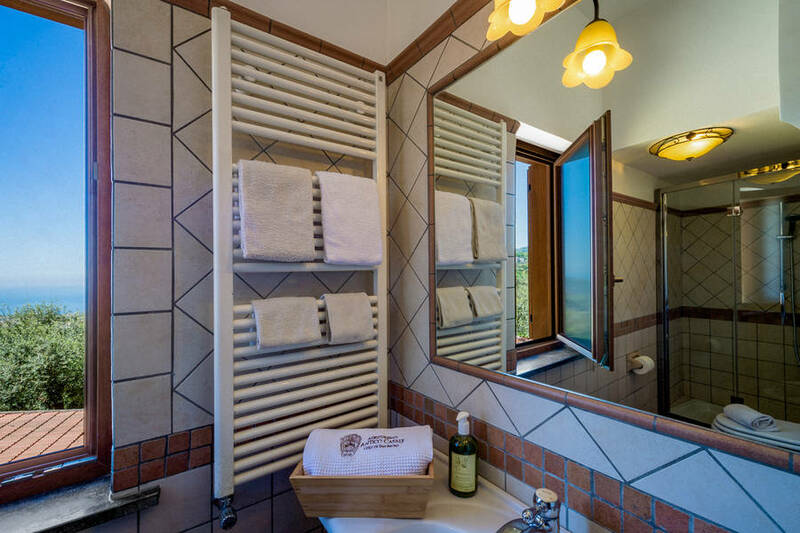 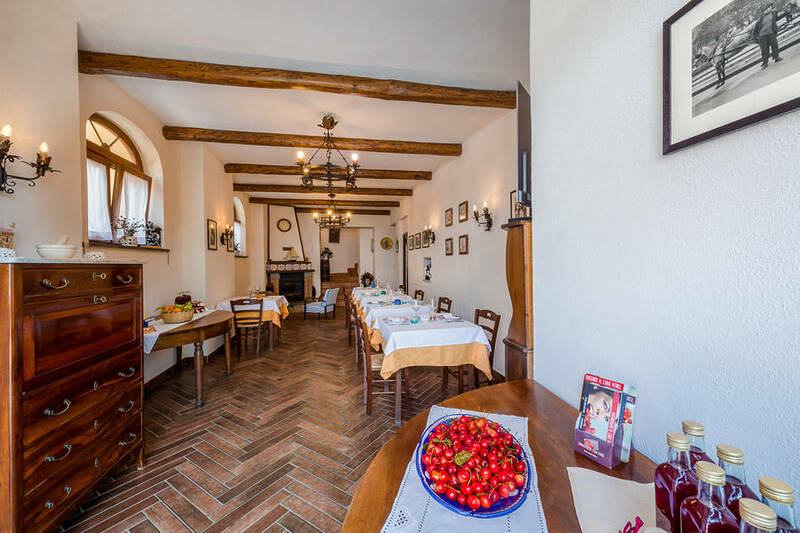 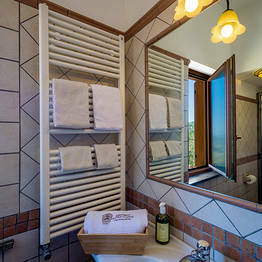 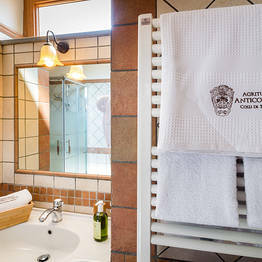 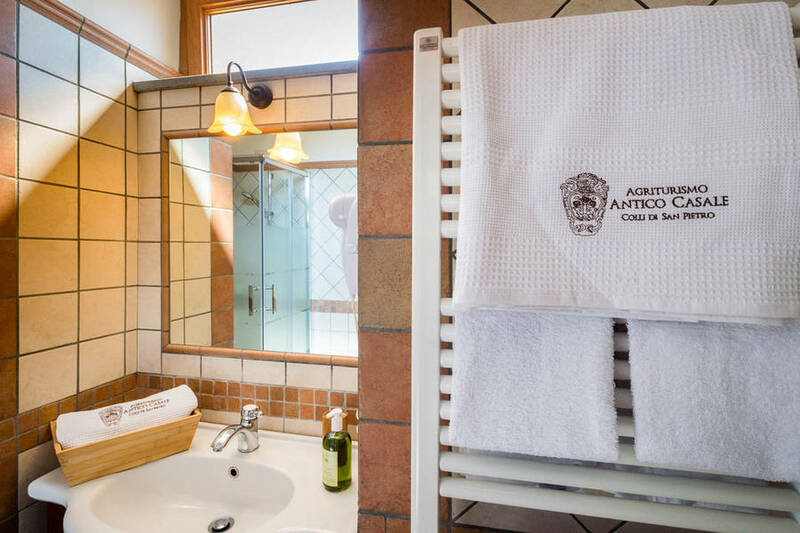 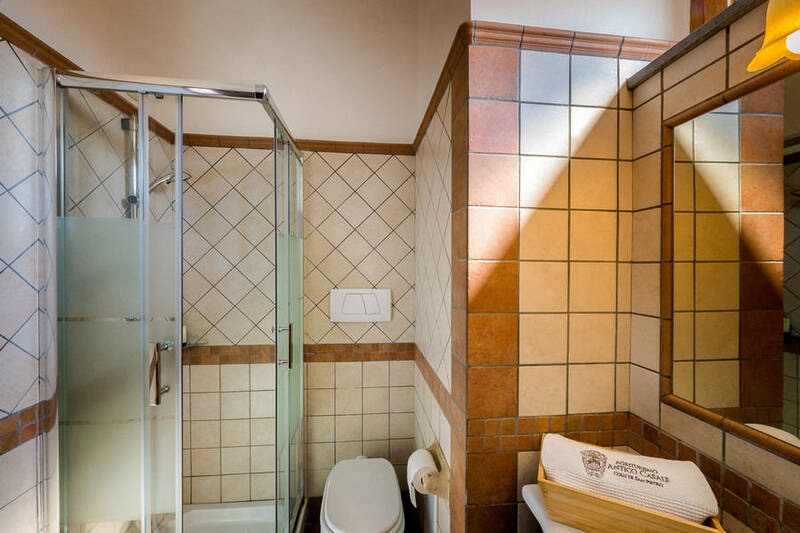 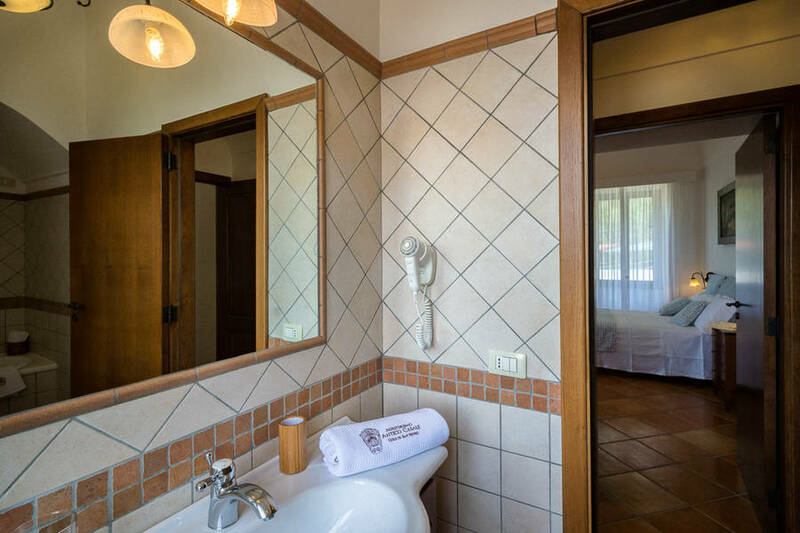 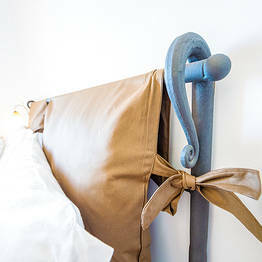 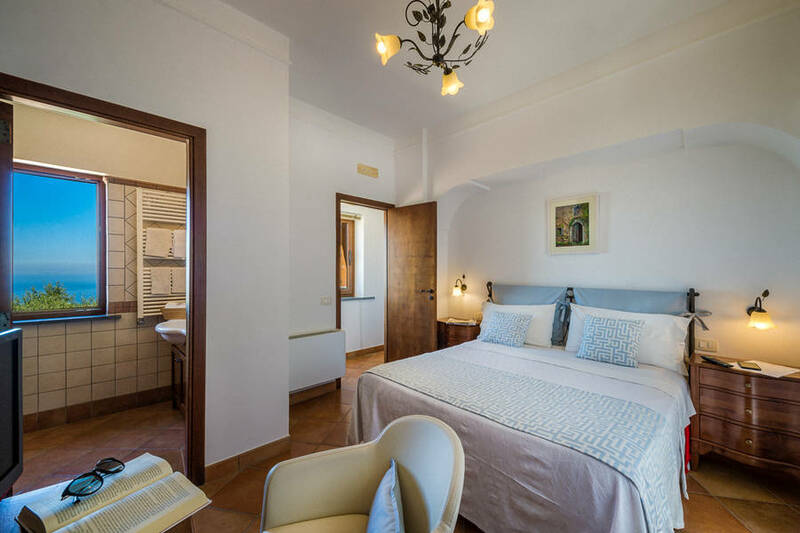 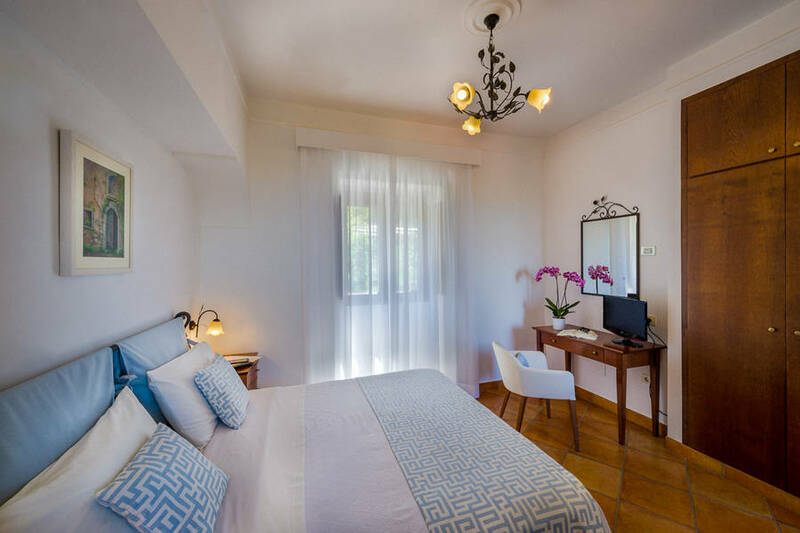 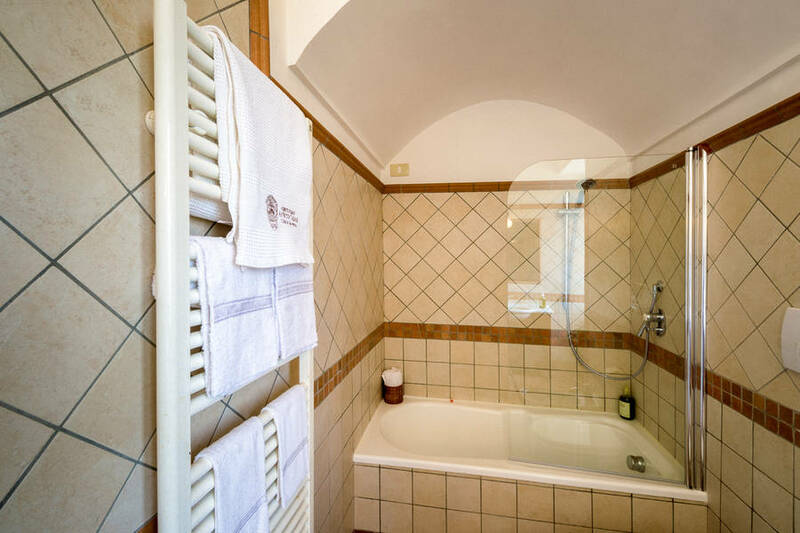 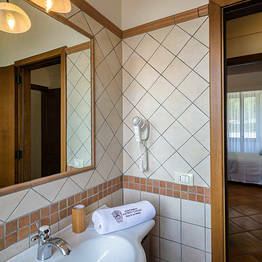 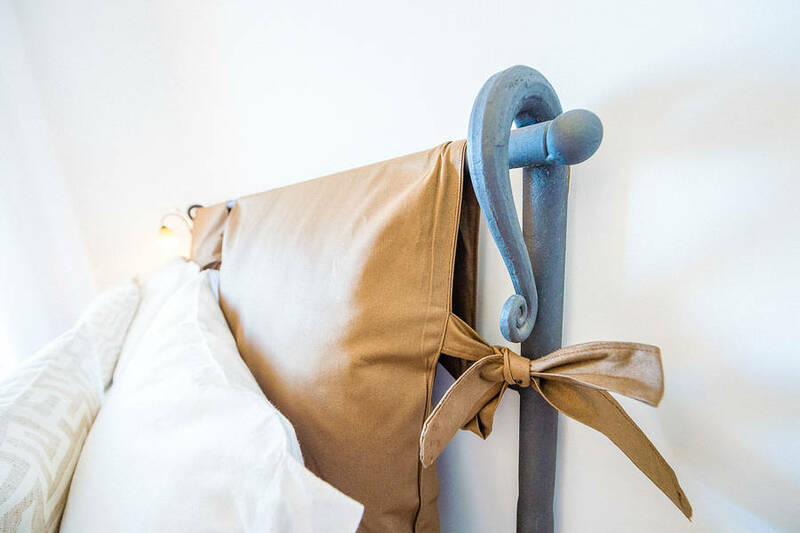 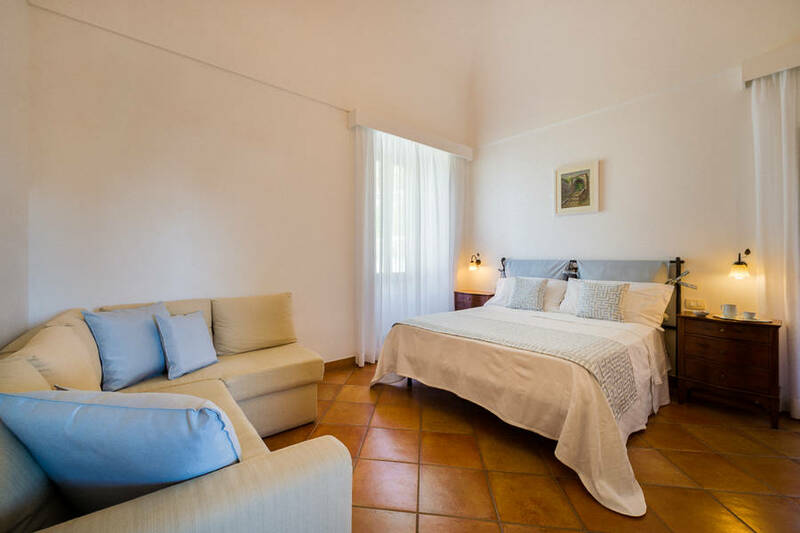 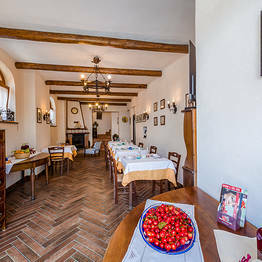 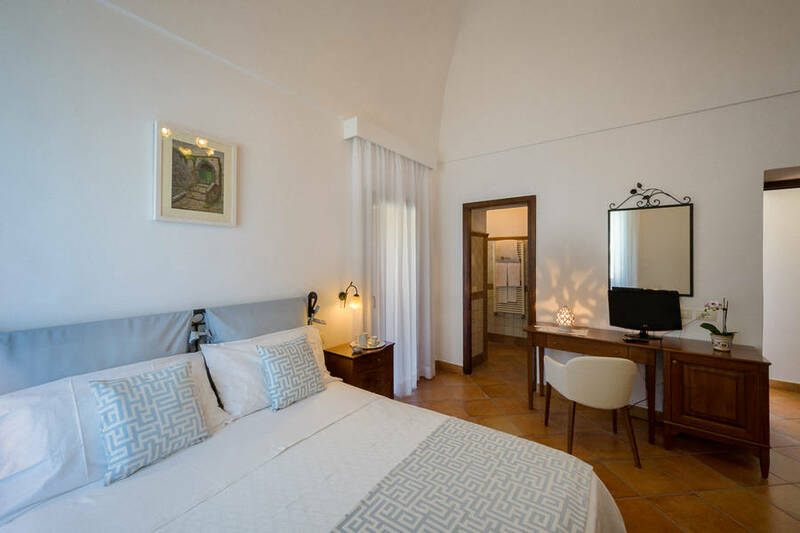 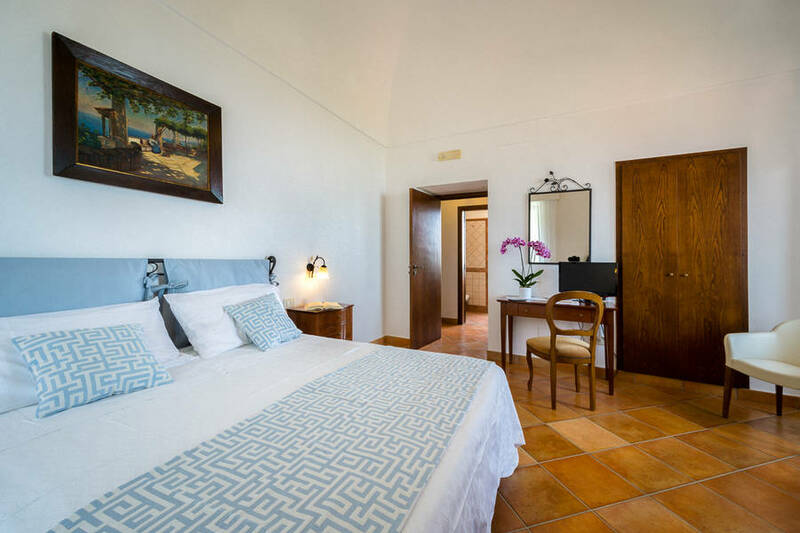 The agriturismo has 4 guest rooms, all renovated in 2017 and furnished in a classic country style, preserving the original architecture of the farmhouse with its vaulted ceilings and terracotta floors. 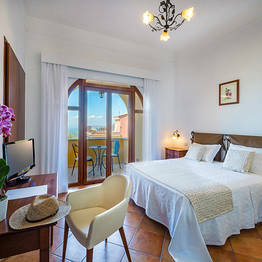 There are family rooms with balconies overlooking the sea, and a large rooftop sundeck with a view for relaxing. 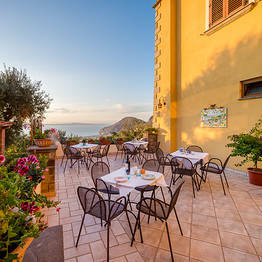 To cool off on hot summer days, guests can enter the nearby "La Lisca" pool at a special rate! 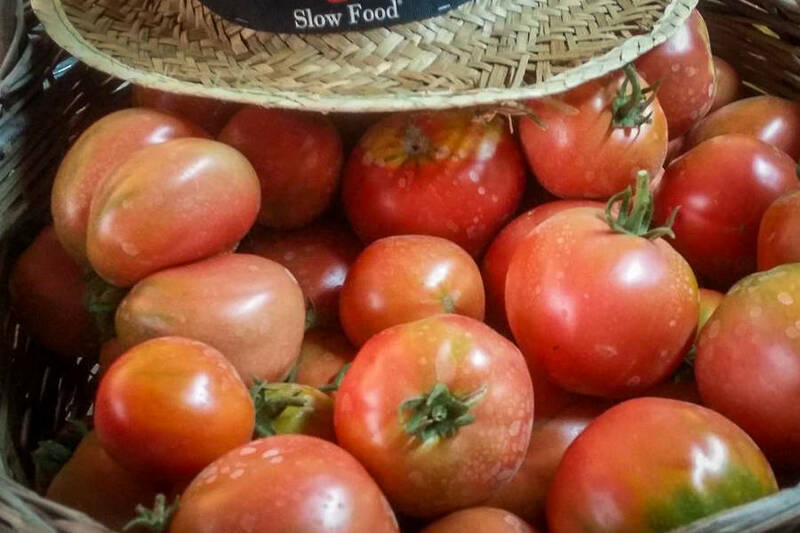 All local ingredients: pick, prepare, and enjoy! 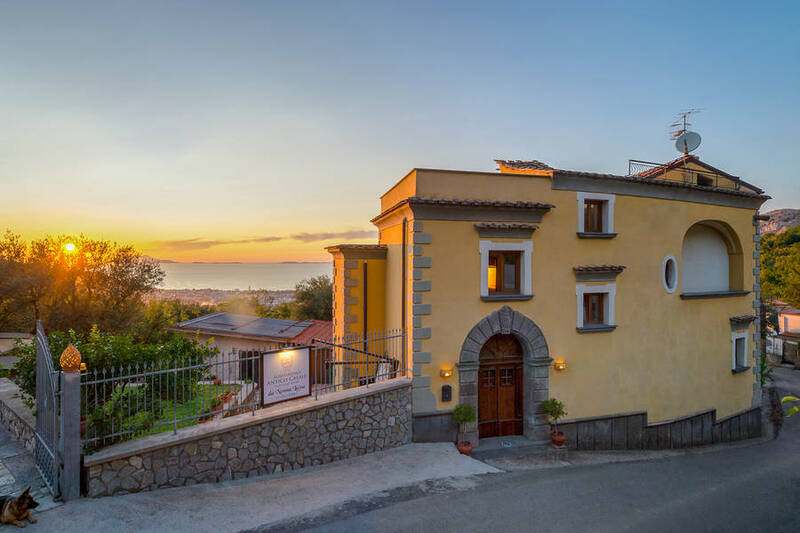 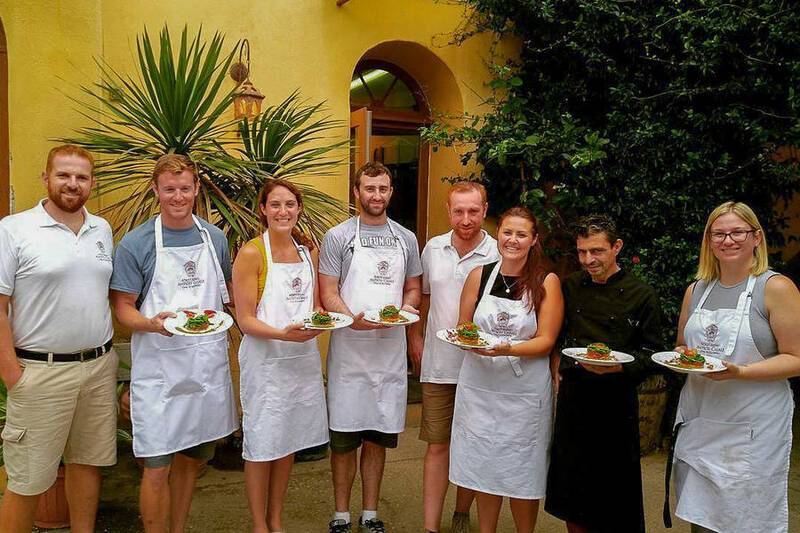 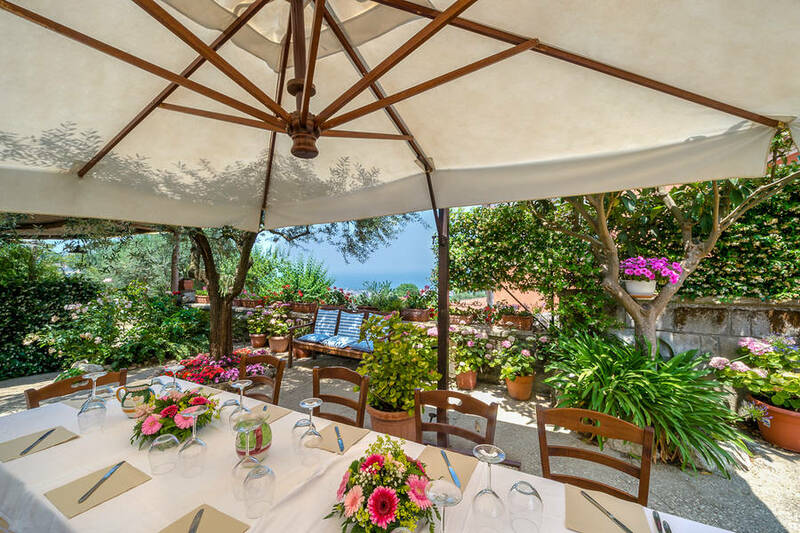 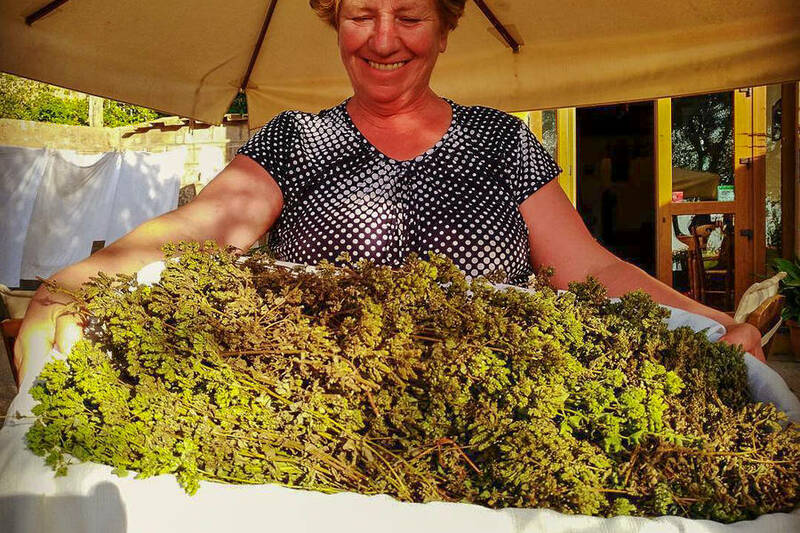 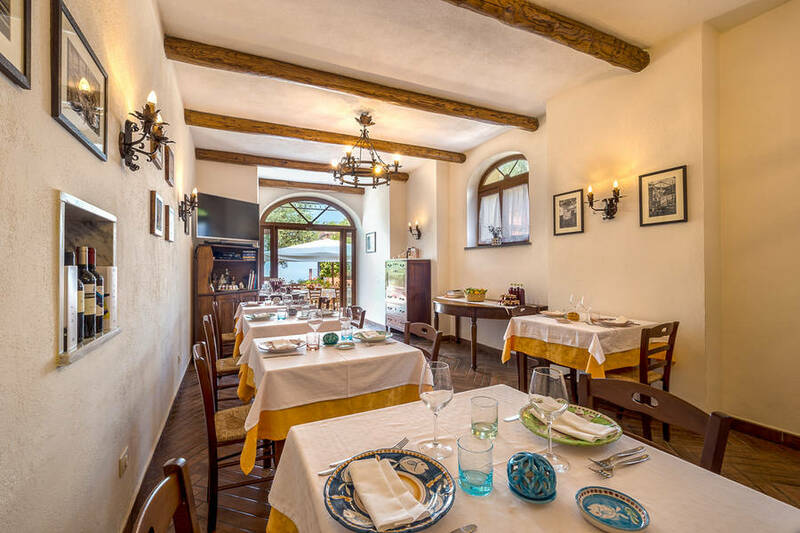 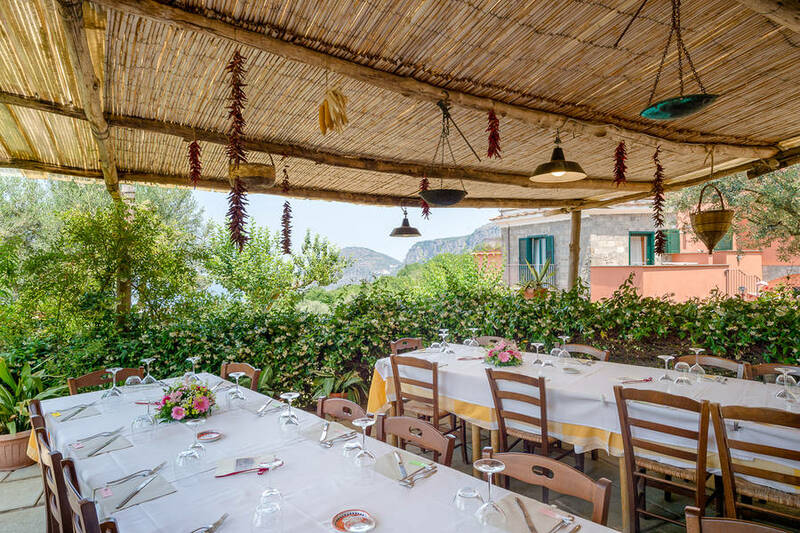 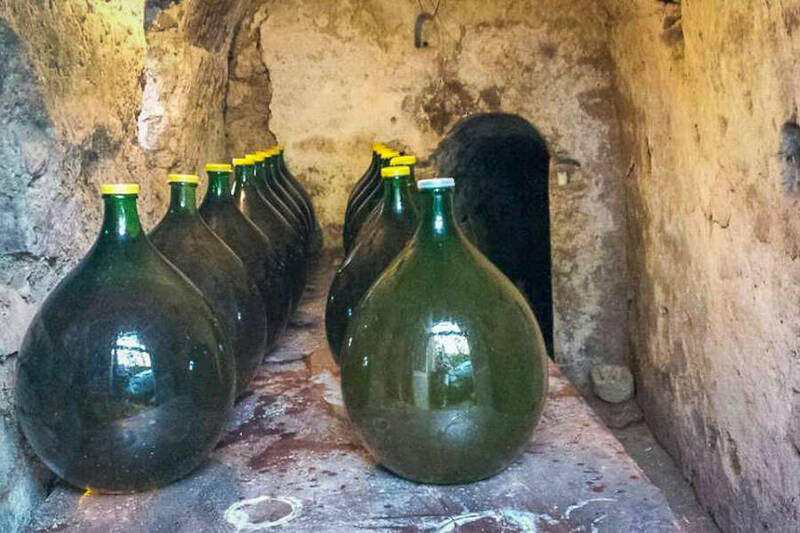 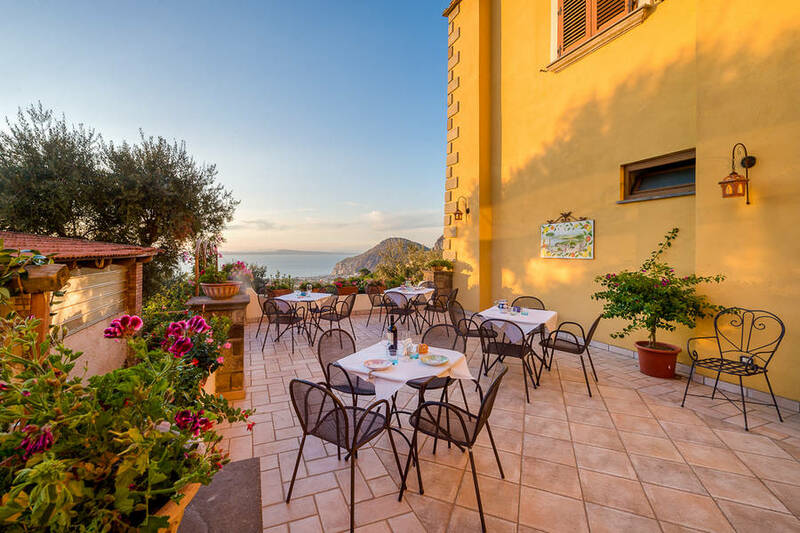 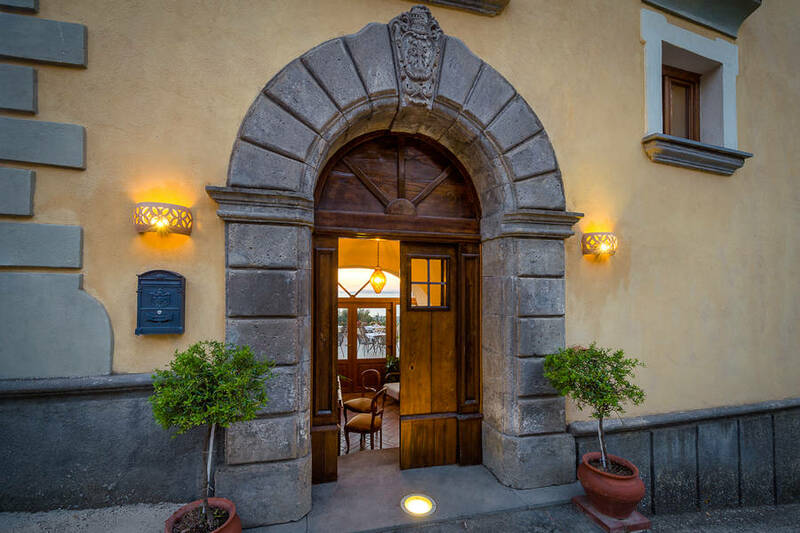 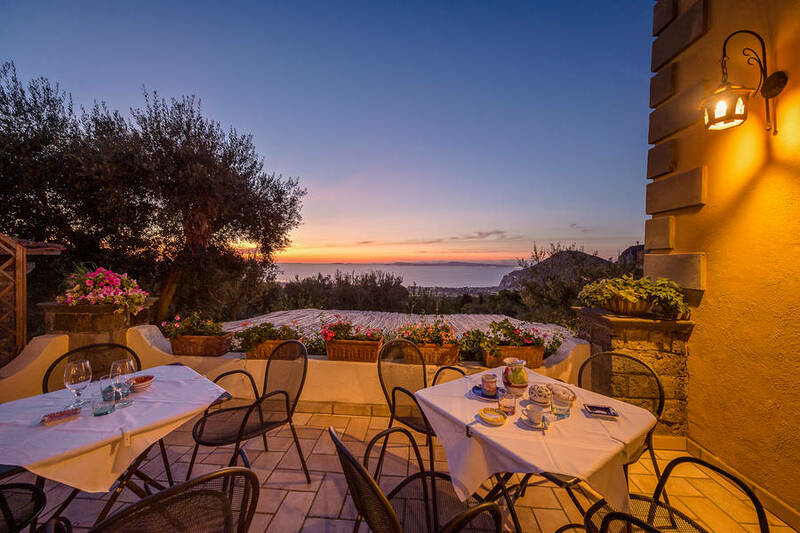 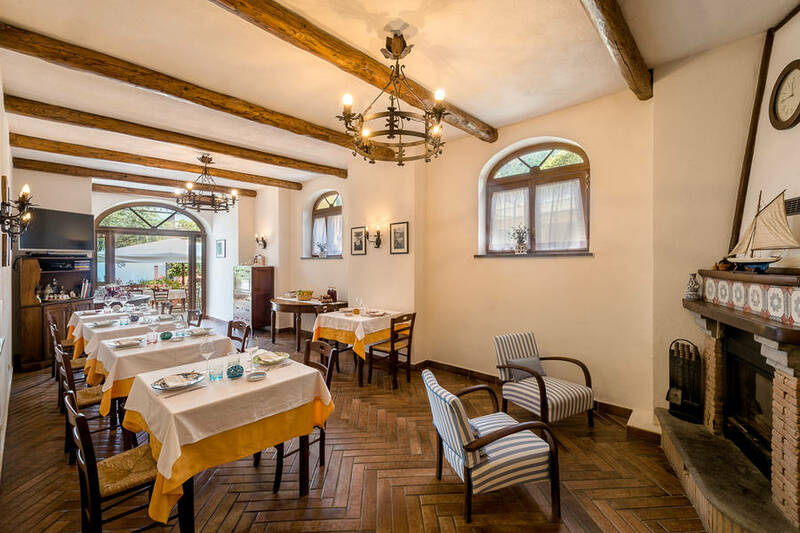 "L'Antico Casale" is an authentic family farm located between Sorrento and Positano in the lush coastal countryside between Colli di San Pietro and Piano di Sorrento. 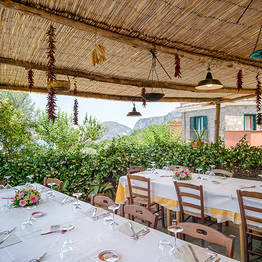 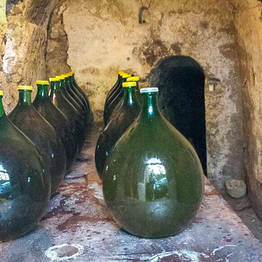 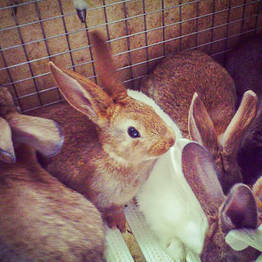 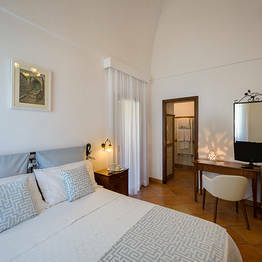 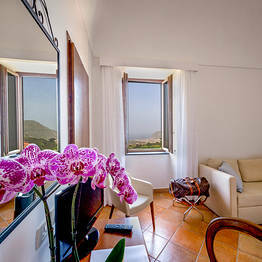 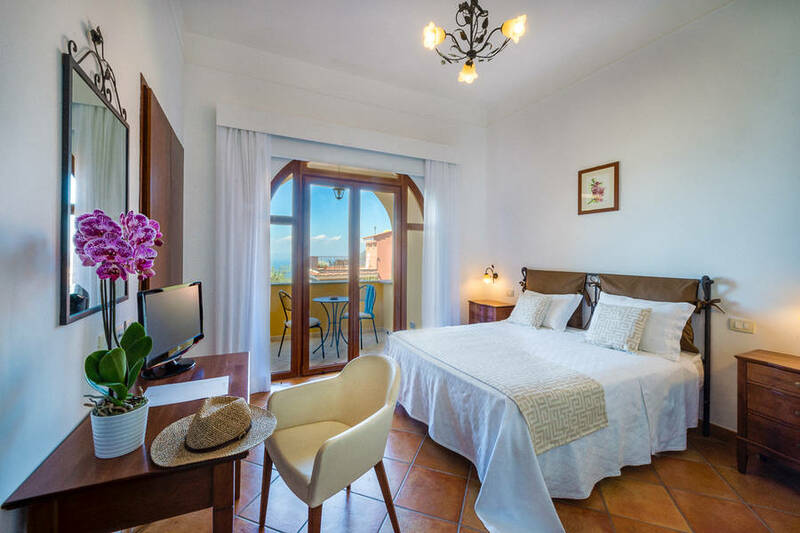 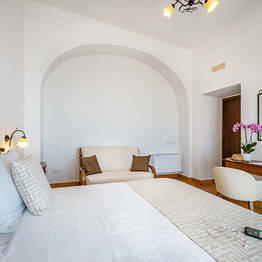 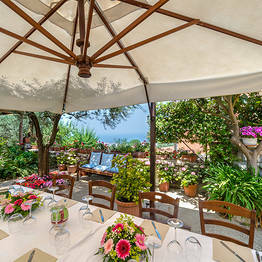 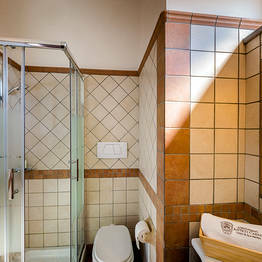 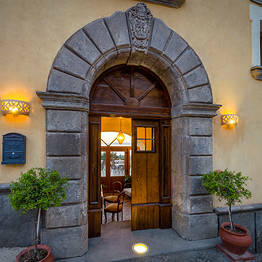 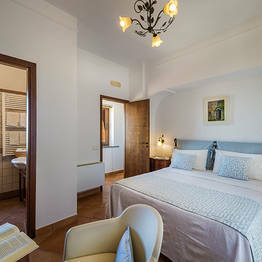 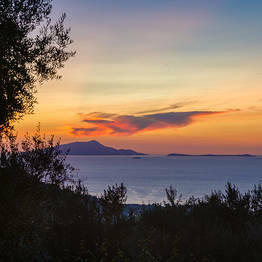 The farm is perfectly located for visiting the Sorrentine Peninsula and the famous towns along the Amalfi Coast. 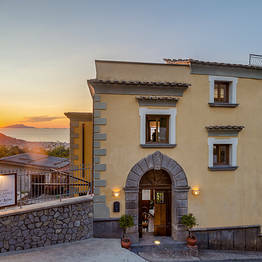 There is a bus stop just 300 meters away for routes to Positano and Sorrento, and a stop for buses to the center of Piano di Sorrento just across the street.